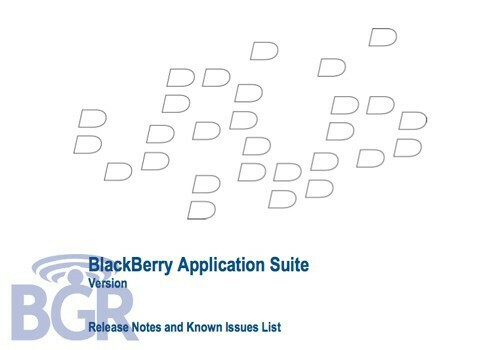 In some of the recent beta OS releases for BlackBerry devices, you can find references to the BlackBerry Application Suite in some of the device.xml files. Speculation is that this indicates that RIM is ready to release the suite which is an application that allows users to run the BlackBerry OS virtually on a Windows Mobile device. Sources say that a beta version of the BAS has been received by some clients and that the program is even better than originally thought. 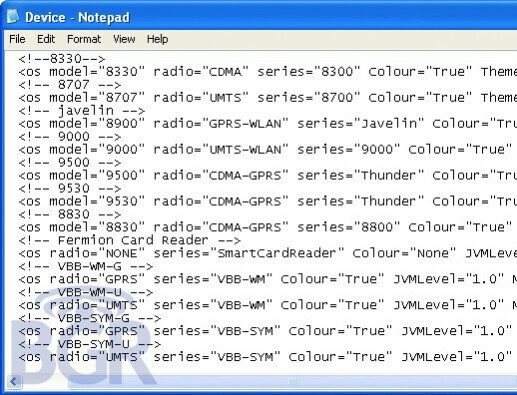 Unlike what was first thought, the suite supports internal GPS which means that BlackBerry Maps and other services based on location will work, assuming that the third party applications have the necessary API access. BlackBerry Messenger also will work. Before you get excited, right now BAS works only with the HTC Touch Pro (or the AT&T Fuze for those Ma Bell customers) and TyTn. Also, all calls will be handled by Windows Mobile as will be syncing of Bluetooth and external GPS devices. Texts sent from BAS will not appear in a Windows Mobile outbox and MP3 and WAV files will not run on the BAS. For now, it is obviously very limited, but eventually, say the sources, Symbian devices will also get a Virtual BlackBerry OS to run. Currently, BAS for Windows Mobile runs the BlackBerry 4.2 OS which for now might make moot all of the current limitations. i thought it might be for the soon to be released app center for the storm.